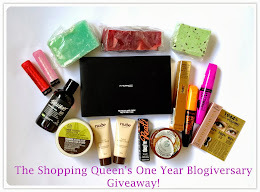 The beautyblenders were $39.95 including a blendercleanser which can also be used for cleaning makeup brushes. I first found out about these from youtube tutorials where lots of people used them to apply foundation really really quickly. I love anything that saves me time in the morning! I didn't buy it though as I thought that it might've been overhyped but I caved and now that I've used it, I like it but I also think that you could easily do without it (and it's a bit too expensive!). To prepare your beautyblender for makeup application you must first drench it using a squeezing motion under water until it expands and is saturated with water. 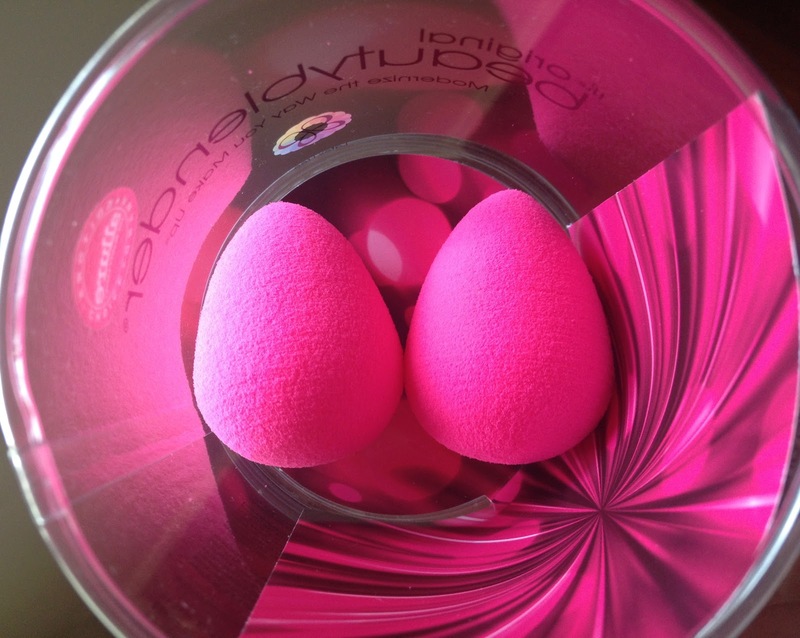 Next, squeeze excess water out and towel dry leaving your beautyblender feeling damp and ready for use. - It's very versatile. I've seen it used for bronzer and blush as well. - Price. It's a bit expensive considering that $39.95 is the US price. - Can be unhygienic. I can't figure out how to dry it after washing it. I can't just put it directly onto a table or it'll gather dust/stuff from the table. I think that if you've already got good foundation brushes, you won't need this at all unless you're looking to cut down on the time it takes for you to do your makeup. If you don't have a good foundation brush, you should think about buying this. This is pretty much the look I do when I'm bothered to do anything more than concealer + eyeliner. 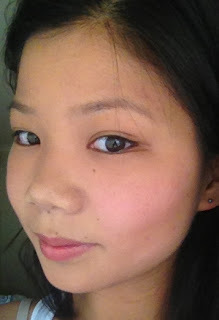 I love really natural looks with minimal eye makeup (I'm not too good with using eyeshadow as my lids are very hooded). Frizzy hair usually means dry hair. Maybe you are washing it too often and perhaps need to use your leave in conditioner more frequently? There are serums you can use but I am a bit of a hair noob haha. Let me know when you've found one :) I love my new hair length but it's driving me nuts! 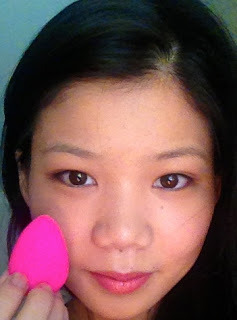 I've been meaning to try the Beauty Blender for a while, but I keep balking at the price. I think I'll give it a miss. Moroccan Oil (or any brand of argan oil) helps with my frizz but I always just put my hair in a bun on humid days so I don't have to worry about it. You're not missing out on much if you already have good makeup brushes :) The beautyblender is a little gimmicky. I still think the sponge can be unhygienic and I have a lot of good foundation brushes already so I don't see the need for a sponge. You can find these beauty blenders on ebay for $2 and the quality is the same - that's what gossmakeupartist says anyways. I've seen M.A.C sell them too for I think $40 each? Thanks :) My hair's tamed a little bit now that it's grown another centimetre or two. It's definitely something you can give a miss! I haven't even used it again recently! I cant get myself to pick up one of these as it is just TOO DAMN expensive! Plus I have no idea how to use it! :| I might just waste it! They're definitely too expensive! I bet they'd sell heaps if they were cheaper like $5 each or something. wow what a great idea for a product, looks great! The concept is good but I'm not sure that it's really all that practical. I never really got into the beautyblender hype... I guess it's because I like using my fingers and I never bother with a brush (I'm too lazy to wash brushes often, which I feel is necessary for brushes that have been used for applying liquid foundation).